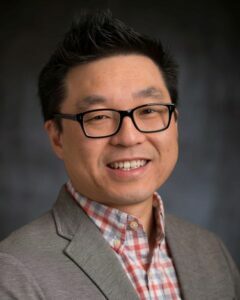 Dr. Michael Fung-Kee-Fung is Professor at the Departments of Obstetrics/ Gynecology and Surgery at the University of Ottawa and is currently Head of Surgical Oncology at the Ottawa Regional Cancer Program and the Ottawa Hospital. 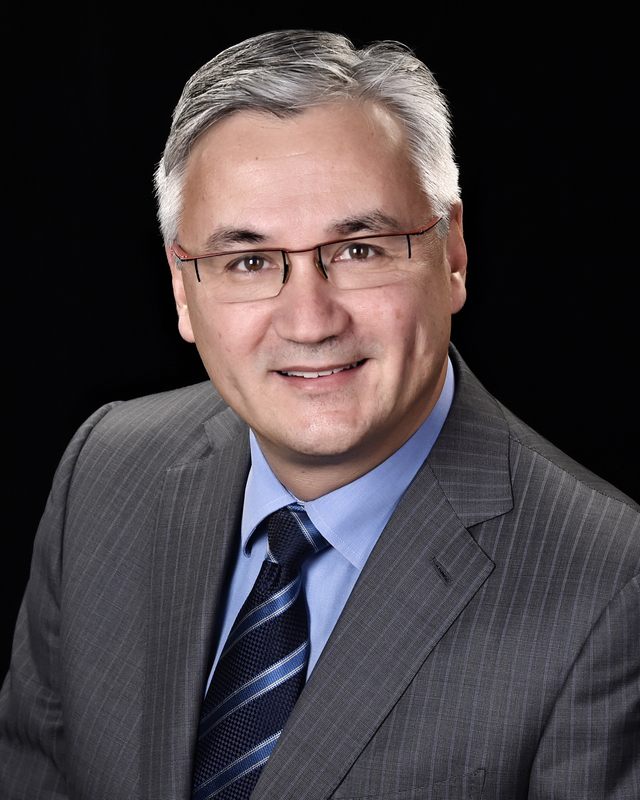 He is Chief of Cancer Transformation at the Ottawa Hospital and has a passionate interest in systems transformation and the role of collaborative methodologies in health innovation. He has pioneered the introduction of the Communities of Practice model in health care as a platform for engagement and innovation harvest to support knowledge transfer and systems performance improvements both at the regional and national levels. In addition he has co-designed and implemented a number of award winning clinical collaboration softwares. He is presently co-leading the Telfer School of Management Health Transformation Exchange Initiative. Clinically he co-leads the National Cancer Institute of Canada Clinical Trials Group in gynecology and is Chair of the Robotic Surgery Program at the Ottawa Hospital. He has held a number of leadership positions in Gynecologic Oncology both nationally and provincially and is the recipient of a number of awards for his contributions. Dr. Fung-Kee-Fung practices in Ottawa and has a wife and 4 children. He enjoys most recreational pursuits, but in particular, he plays tennis infrequently, attempts yoga sporadically, and golf’s with a handicap not worth mentioning. 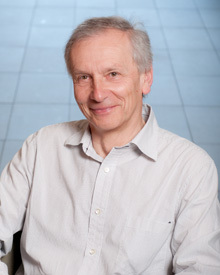 Wojtek Michalowski is the Vice Dean of Research and professor of health informatics at the Telfer School of Management. He holds a University Research Chair in Health Informatics and Decision Support at Telfer. He is a founding member of the Decision Analysis Lab (DAL) and adjunct research professor in the Eric Sprott School of Business, Carleton University. During the 1997/98 academic year, he was the senior research scholar at the International Institute for Applied Systems Analysis. Dr. Michalowski received the Polish State Professorship in 2013. This is the highest academic title in Poland and it’s given upon the recommendation of the Polish Academy of Sciences for research accomplishments recognized internationally. He is member of several editorial boards and for a number of years he was a chair of the Awards Committee of the International Society on Multiple Criteria Decision Making. 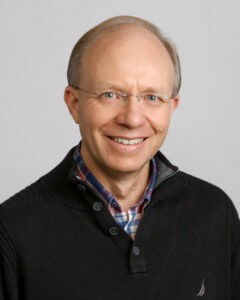 Wojtek’s research interests include decision analysis, multiple objective linear programming, medical decision making, health care management, ontological modeling and rough sets theory. 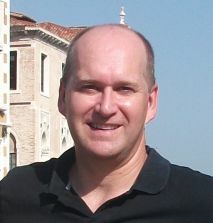 He has written over sixty refereed papers and has published articles in some thirty journals, including Management Science, Naval Research Logistics, Operations Research, Journal of Optimization Theory and Applications, IEEE Systems,Man and Cybernetics, IEEE Expert, Decision Support Systems and Electronic Commerce, European Journal of Operational Research, and Methods of Information in Medicine. Currently, Wojtek is the Principal Investigator of an NSERC-funded research program aiming at developing clinical triage support systems for cross-platform applications, including mobile devices. To learn more about this research program, visit www.mobiledss.uOttawa.ca. Dr. Ken Farion completed his emergency medicine training at the Univer sity of Toronto in 1998 and pediatric emergency medicine subspecialty training at the Children’s Hospital of Eastern Ontario (CHEO) where he has been on staff since 1998. He also practiced emergency medicine at The Ottawa Hospital. Dr. Farion serves as CHEO’s Medical Director of Quality and Systems Improvement, working to engage CHEO’s staff and physicians in continuous quality improvement initiatives. He is also an investigator with the CHEO Research Institute. Throughout his career, Dr. Farion has helped develop and implement innovative improvements to the delivery of emergency care. He conducts a variety of clinical and health-systems research at CHEO while collaborating with other researchers at the University of Ottawa. Telfer School of Management, as well as across Canada through the Pediatric Emergency Research Canada (PERC) network. Dr. Farion’s interests include concussion, emergency research and pain. A leading expert in his field, Dr. Sundaresan is a full professor in the Department of Surgery at the Faculty and previously served as Chair/Head, Division of Thoracic Surgery at the University and TOH, from 2004 to 2012. 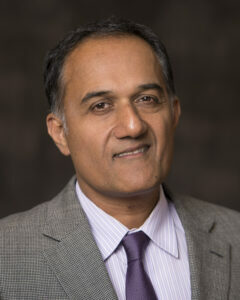 Prior to his joining TOH and the faculty in 2002, Dr. Sundaresan held faculty appointments at Washington University School of Medicine (1992-1998) with clinical and molecular immunology research focus in lung transplantation and lung allograft rejection, respectively; and as Head, Division of Thoracic Surgery at Northwestern University, Chicago Illinois (1998-2002), where his clinical and academic focus was in thoracic oncology and simulation in surgical training. Dr. Sundaresan’s clinical and academic interests are currently centered on thoracic oncology and minimally invasive thoracic surgery. He has played a senior leadership role at Cancer Care Ontario and in the Royal College Thoracic Surgery Examination Board. His research presently involves surgical quality measurement and improvement, and he has presented internationally and published on the impact of regionalization of thoracic surgery on perioperative quality and outcomes. Dr. Mark Walker is a healthcare executive and is the current Chairman and Chief of the Department of Obstetrics and Gynecology at the University of Ottawa and the Ottawa Hospital. He has published more than 210 peer reviewed articles and been awarded more than $10 million dollars as Principal Investigator in research. As well as being a highly respected clinician and researcher, Dr. Walker has a masters in Health Care Management from Harvard University. His leadership roles include the previous Chairman of the Society of Investigators in Obstetrics and Gynecology of Canada, the Chair of the Perinatal Health Committee of the Public Health Agency of Canada, and the Co-Chair of the Maternal Newborn Advisory Committee for the Province of Ontario. He is currently a Senior Scientist and the Scientific Director of the Better Outcomes Registry Network (BORN) as well as a board member of the Provincial Council for Maternal Child Health. Dr. Walker is internationally recognized for his research, medical leadership as well as health services and policy work. Dr. James Chan is an internal medicine specialist in The Ottawa Hospital. He completed a M.Ed. at OISE. His research involves using technology to enhance medical education. Amongst his various projects, he is working on a remote OSCE to link with students and examiners between China and Canada. He is working evaluating an app for orientation in the internal medicine rotation. He is studying a new method of cardiac auscultation with a stethoscope that produces as well as hears heart sounds. He is also studying the use of the iPad for education by Ottawa residents. He leads a technology interest group at the Ottawa Hospital. Clinically Dr. James Chan has an interest in internal medicine and heads the internal medicine perioperative assessment clinic (IMPAC) at TOH. He an Assistant Professor in the Faculty of Medicine. His career track is as a Clinician-educator with the Faculty of Medicine. Professor of performance management at the Telfer School since 2012, Pavel Andreev obtained his Ph.D from the Department of Industrial Engineering and Management at Ben-Gurion University of the Negev in Israel. His doctoral studies centered on the impact of information and communication technologies (ICT) on activities such as teleworking, telemedicine, e-shopping, e-learning, telebanking and teleleisure. Professor Andreev was a Research Fellow and Adjunct Professor at the Business Information Systems Department, University College Cork, Ireland. He was also a Postdoctoral Fellow and Visiting Professor at the Sagy Center for Internet Research and the Study of the Information Society, Graduate School of Management, University of Haifa, Israel. 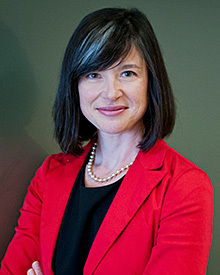 Ivy Lynn Bourgeault, PhD, is a is a Professor in the Telfer School of Management at the University of Ottawa and the Canadian Institutes of Health Research (CIHR) Chair in Gender, Work and Health Human Resources. Dr. Bourgeault also leads the pan Canadian Health Human Resources Network with funding from Health Canada and the CIHR. She has been a consultant to various provincial Ministries of Health in Canada, to Health Canada and to the World Health Organization. Her recent research focuses on the migration of health professionals and their integration into the Canadian health care system. Dr. Bourgeault sits on the international editorial board of Sociology of Health and Illness and the Journal of Marketing and Management in Healthcare as well as on the Institute Advisory Board of the CIHR Institute of Health Services and Policy Research. She is the cofounder of the bilingual Canadian Society for the Sociology of Health. 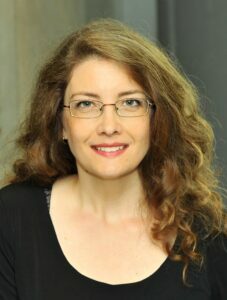 Dr. Samia Chreim received her PhD from HEC-Montréal. She held rese arch and teaching posts abroad, in Quebec and in Alberta, and has been associated with the Telfer School of Management since 2006. She teaches courses on change management, strategic management and qualitative research methods in the areas of Business Management and Health Management. In the area of health care management, she has studied the dynamics of organizational change, integration across organizations, and collaboration among professionals. She has researched how distributed or collective leadership is exercised. She has also held an interest in how the roles and practices of different health professions interact with each other, conflict and change. Her most recent studies have attended to these notions in the contexts of mental health teams, primary care units and hospitals. 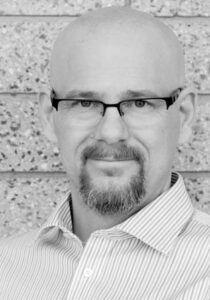 A graduate in Health Information Science from the University of Victoria in British Columbia, Dr. Craig Kuziemsky joined the Telfer School of Management as Assistant Professor in June 2007. He also has undergraduate degrees in M edical Laboratory Science and Commerce from the University of Alberta. Craig teaches courses in the Master of Health Administration (MHA) and Master of Science Health Systems programs as well as at the undergraduate level. Dr. Kuziemsky’s research is at the forefront of research on health systems design to support collaborative care delivery. While studies and commissions continue to advocate for increased collaborative care delivery, a considerable challenge is that healthcare systems are not designed to support collaboration. To address this challenge, his research has helped develop innovative methodologies while also making a significant contribution to our understanding of the behavioral and social aspects of collaboration. He helped created one of the first ontology development methods that is data driven. In contrast to previous models, his innovation starts with domain data and then develops ontological models to create an architecture to support collaborative teams. He has conducted innovative interdisciplinary research using concepts such as complexity theory to understand the nature of collaborative interactions in different healthcare settings (clinical healthcare and public health for disaster management). Furthermore, he has collaborated with colleagues to develop the first model of the collaboration space to enable people to think explicitly about collaboration and how to design solutions to support it. He is the Principal Investigator for a Natural Sciences and Engineering Research Council of Canada Discovery Grant (2014-2019) to study contextual aspects of collaborative teamwork in order to better model and develop technologies to support different contexts of collaboration. Professor Patrick’s research interests are in applying the methods of operations research to improve the efficiency of health care management. His PhD thesis involved a Markov decision process model that sought to determine intelligent multi-priority patient scheduling policies with the goal of maintaining reasonable priority-specific wait times. His current research interests are in capacity planning within health care as well as continuing to explore scheduling challenges. On the theoretical side, Professor Patrick is interested in seeking to advance the field of approximate dynamic programming. Professor Patrick is a member of INFORMS and CORS. He is also an affiliate with the Centre for Health Care Management at UBC. Lysanne Lessard received a Ph.D. in Information Systems from the Univ ersity of Toronto’s Faculty of Information. She also holds a Master’s degree in Information Technology (M.Sc.) from Téluq – Université du Québec à Montréal (UQAM), and a B.A. in Communications from UQAM. Professor Lessard’s studies have been funded by the Social Sciences and Humanities Research Council (SSHRC), the Fonds de recherche du Québec – Nature et technologies (FQRNT), and the Ontario Graduate Scholarship Program (OGS). Her many scholarly publications include the chapter article “Service Systems Design: An Intentional Agent Perspective”, published in 2013 in Human Factors and Ergonomics Manufacturing & Service Industries, 23(1), 68-75, with co-author Eric Yu. 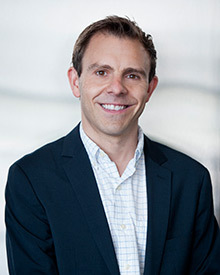 Professor Lessard’s research focuses on the development of design and modeling approaches for inter-organizational contexts such as knowledge-intensive business service (KIBS) engagements. In these contexts, she investigates how organizational actors and ICTs form infrastructures in which information and knowledge are collaboratively created, shared, and transformed. This understanding leads to the creation of models, methods, and ICTs for the design, development, and evaluation of service systems. The results of this research enable greater value creation and innovation in today’s networked economies. 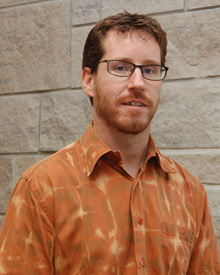 Daniel Amyot is Professor at the School of Electrical Engineering and Computer Science of the University of Ottawa, which he joined in 2002 after working for Mitel Networks as a senior researcher. His research interests include software engineering; requirements engineering with goals, scenarios and aspects; business process modeling; healthcare informatics; and regulatory compliance. He has over 150 publications in these areas. 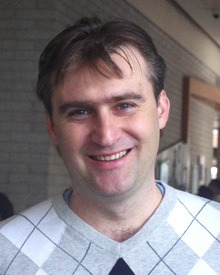 In the past decade, Daniel led the standardization of the User Requirements Notation at the International Telecommunication Union and led the development of jUCMNav, a tool for modeling and analyzing goals and scenarios (http://softwareengineering.ca/jucmnav/). He has led and participated in many projects on different e-health, analytics, and real-time monitoring a pplications in collaboration with several hospitals in Ontario. Daniel is on the editorial boards of two leading journals: Empirical Software Engineering, and the Journal on Software & System Modeling. In 2015, he was also the General Chair of the 23rd IEEE International Requirements Engineering Conference (http://re15.org). Daniel has a Ph.D. and an M.Sc. in Computer Science from the University of Ottawa (2001 and 1994), as well as a B.Sc. from Laval University (1992). Dr. Randy Giffen is an Analytic Solutions Architect with IBM Canada. He is currently working at the Center for Health Informatics and Analytics at M emorial University. Dr. Giffen is a former General Practitioner with post-graduate research experience in Medical Informatics at the Open University. He joined Object Technology International in Ottawa which was acquired by IBM. Dr. Giffen has been involved in a number of software projects at IBM including the Eclipse Project, Business Process Management, Healthcare Analytics, and Predictive Maintenance and Quality. Dr. Donia joined the Telfer School of Management in 2011 as an assistant professor of human resource management and organizational behaviour. Dr. Doni a earned a Ph.D. in Administration from Concordia University’s John Molson School of Business, an M.Sc. from the same university and a B.A. in Political Science from McGill University. She is multilingual (fluent in English and Portuguese, and with working knowledge of Spanish and French) having lived in Brazil, Canada and Europe. 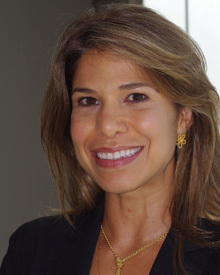 Dr. Donia’s main research interests focus on individual and organizational giving exceeding formal role expectations. At the individual level, she is interested in why employees perform organizational citizenship behaviors and more specifically, in understanding whether different motivations lead to different contributions. At the organizational level, she is interested in the effect of corporate socially responsible actions on employees within the organization. Among other areas of research, she is interested in the role of feedback on individual and team performance. 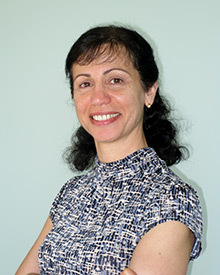 She has presented her research in conferences such as at the Academy of Management, the Academy of International Business and the European Group of Organization Studies, and earned awards at the Academy of Management Conference, the Administrative Sciences Association of Canada, the Society of Business Ethics Conference, and the Canadian Psychological Association Conference. Her research has been published in the Academy of Management Learning and Education, Leadership Quarterly, the Journal of Business and Psychology, and Career Development International. Francois Chiocchio is a Professor of Organisational Behaviour and Human Resource Management at the University of Ottawa’s Telfer School of Management. He is affiliated with the Montfort Hospital Research Institute where he holds the Montfort Research Chair in the Organization of Health Services. He received his PhD in psychology from Université de Montréal in Canada in 2002. His research focuses on projects, teamwork, and collaboration in various organizational environments, including health care organizations in Canada and Africa. He has published books titled Stress and Performance in Health Care Project Teams (PMI), Advancing Human Resource Project Management (Wiley) and The Psychology and Management of Project Teams (Oxford University Press). His research has appeared in peer-reviewed journals (e.g., BMC Health Services Research, International Journal of Project Management, Journal of Vocational Behavior, Small Group Research). Dr. Chiocchio collaborates very closely with graduate students as a research supervisor and HR Coach in various competitions. Dr. Chiocchio is one of the only academics specialized in industrial–organizational psychology certified as a Project Management Professional (PMP®) by the Project Management Institute, as a Certified Human Resources Professional (CHRP) by the Ordre des conseillers en ressources humaines agréés (Québec) and as a Certified Human Resource Leader (CHRL) by the Human Resources Professionals Association (Ontario).